I somehow wonder why on Internet we don't have many site that help us with visas. It's just us,searching in the whole Google network, or asking our friends or friends of friends to guide us through. Dubai was one such case.Although the process was simple,we decided to not take a risk and pre-query "Marhaba Services" who we have had heard from one of our friend that they guide you in the best way possible for Dubai. So we , took all our documents,and took the help of Marhaba Services who were very confident of our passports(UK & US stamped) and said that we will get in three days flat if approved,which we got over mail.I would highly recommend them, but now that I know what is required and what isn't, may be I can guide you through.Also,with Emirates Airlines you get assistance on visa.We couldn't book Emirates because our time didn't match,however,to avail visa assistance you can also follow up with them(I have heard they are the best airline to Dubai but never got a chance to fly in them sadly). Similarly , with low cost but convenient airline Air Arabia.However,in both cases your return journey should be by a single carrier i.e to and fro by Emirates or to and from by Air Arabia. You can also avail 96 Hours visa only Dubai which costs INR 4800 and is valid for 58 days from date of issue and is for 96 hours only. You may or may not require everything as stated above,but to avoid rejections its best to carry all documents as per checklist. The checklist changes from time to time, so please keep a track of what all is required currently. 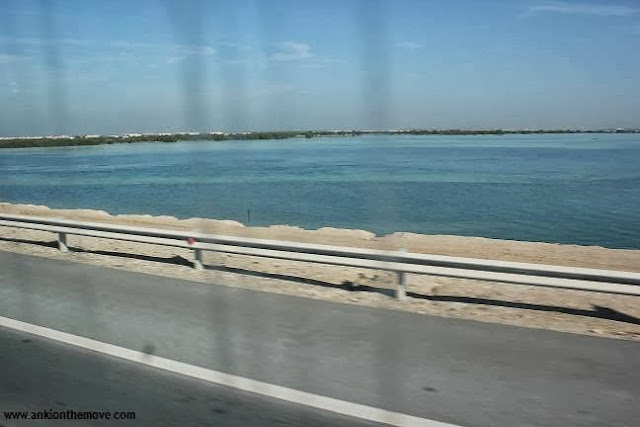 Similar to Many other cities in the world,Dubai and Abu Dhabi also has Hop On Hop Off Bus Tour which is very convenient and easy to avail.As a backpacker,I had used it in Scotland and found them to be immensely helpful(No more taking taxis from point A to point B unless it's an emergency). Since we were on our own tour with friends,we chose to go without package.However looking at the options we have the MakeMyTrip Dubai package with Airfare looks like a good option.As the individual airfares itself cost somewhere around 16-25k(The lowest is Oman Air with 18k Airfare return).We chose Air Arabia to Shahjah as the timings were perfect for us(Leaving at 2 ,reaching at 5) and chose to board a bus from Sharjah to Abu Dhabi(AED 40 , 1 Hour).While return,we chose services of Qatar.Qatar Airways is one of my favorite Airline,I know I can never go wrong with Qatar...the leg space is adequate,the food on board is awesome and even the services of the crew are at par. Air Arabia however has pay for check in luggage if not prior notified about the luggage(Please read) you carry. Fortunately we had done so.. I talked about my landing with lights in my last blog-post. Little did I say about my exit from the airport. 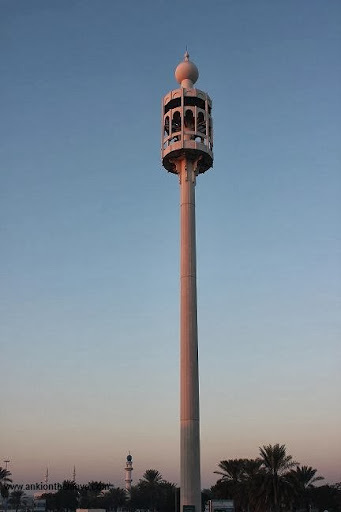 It so happened that I was busy purchasing local sim card at the airport to activate my cellphone with a local number(Don't forget to do that,the roaming charges will burn your pocket),and just then I saw an orange hue outside.The dawn was slowly shining over a tall monument just outside the airport.I took out my Camera. and there goes Click Click. How beautiful can a sunrise be..Slowly and patiently I got into by bus from Sharjah to Abu Dhabi not knowing what lies ahead.What lies ahead was no less than a wonder. It started with heap of scattered sand on both sides and a broad road on which my bus was treading at its own speed. Moving ahead,moving on. And then came sea on one side and another. Sea?Deep Blue Sea?Sea with a backdrop of sand, sand playing with sea. Every moment Every second, I felt like taking pictures,but the window of my bus had dirty grey lines playing spoilsport. Even then I could manage to take some interesting snap shots.Would you like to see one? On the way..I told you the bus had dirty windows,but isn't this a great road to drive along. The rugged sand with endless sea took a smooth sophisticated way at the Corniche . Corniche is a road that winds along the side of a steep coast.It looked like I would love to walk there forever,or may be have a cuppa of Hot Turkish Coffee in one hand and admire the coastline.Talking of Turkish Coffee,the moment I arrived at Abu Dhabi Airport, I saw a small counter with Tea, Coffee, Turkish Coffee etc as Menu.Happily I gave him AED 10 and to that I had my first sip of the Turkish Coffee. It can be said in one word "Either you would like it,or you would abhor it - There's nothing that comes in between".It has a sharp bitter taste with tinge or flavors of spices.It reminded me of Kahwa in Kashmir to some extent only if it was made on Coffee. I added sugar, bitter isn't my favorite and so the sweetness with bitterness and flavors of spices was just what I wanted. 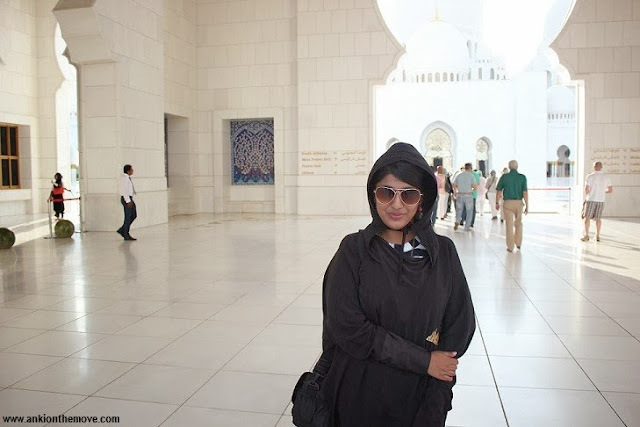 The peace in us is enlightened with a soul connection of true spirits,of blessings,of all things good.I,cherish each moment from the entry to the exit to the grand Mosque where I wore an Abaya for the first time.It is simple,we have changing rooms,they give the Abayas to be worn over your own dress and voila! You are one of them.The sacredness that you feel at that moment,the oneness is no where else to be found.It is as if,we all are one.We all bow down to the same God and hence the blessings are all ours to be together happily shared with one another.I went inside,with a smiling face not knowing how beautiful it was inside.The carpet spread over was a single weave,the natural light shining as if giving a positive Omen.The mosque was a wonder,the water in front of the mosque added to the beauty while the intricate work on its door,its walls and everywhere was spectacular. Respecting the culture,it is essential to wear little conservative clothing but that doesn't mean you have to be dressed in layers of clothing.I didn't find unusual stares in the whole of Abu Dhabi or Dubai or Sharjah;anything below knee is acceptable or an inch or two above too is acceptable.No transparent clothing,No ultra revealing clothes.As long as it is modest,it is acceptable.In Mosque there are dress codes,but you dress yourself for the occasion in the changing rooms.In Desert Safari in Dubai you can wear shorts also.In Malls too,the instructions are written to be dressed appropriately and no PDA:Public Displays of Affection and as long as you wear clothes you are comfortable in and its modest,shouldn't be a problem.As I said,I didn't find unusual stares anywhere.For Old Dubai Gold Souk area,wear clothes which are below knee or preferably full length. 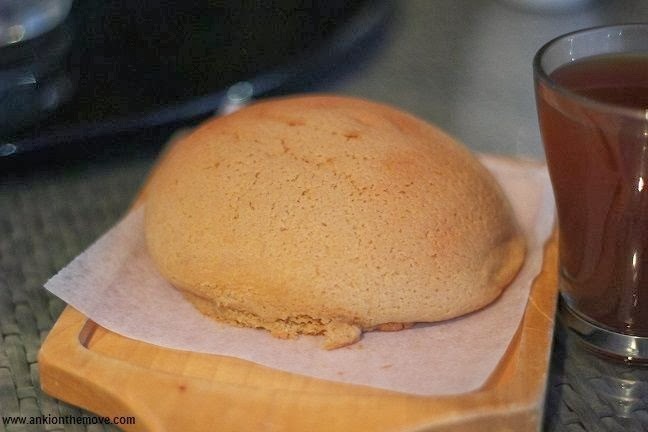 The magic begins from the moment you sink your teeth at Papparoti. Delicate buns filled with cream and cheese inside,as if fresh from the oven,this was something I had never tasted before,and I am sure would never likely to get bored of ever. Papparoti Cafe,situated at Tourist Club Area with the view of Corniche and the whole city is not to be missed when in Abu Dhabi.Papparoti + Ginger Tea and the evening is all yours. 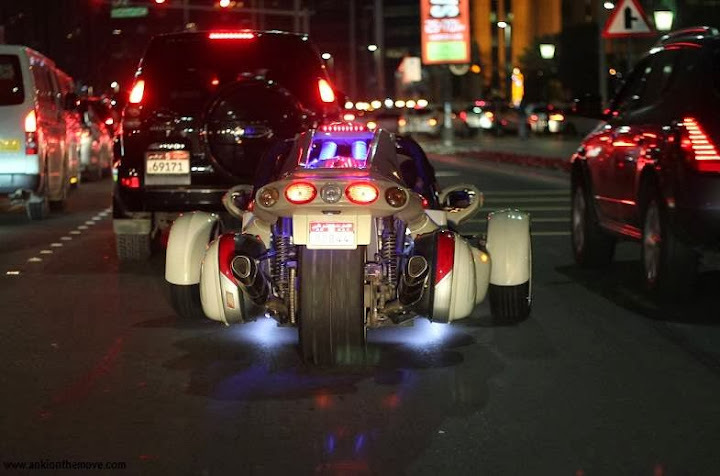 Well,not many countries would see vehicle like these on road,or even horses. Since the whole of Abu Dhabi was celebrating the World Expo Win and the 42nd National Day,we saw the city glittering with lights everywhere.From Roaring cars in the night to smoking Paan Shisha,Abu Dhabi was indeed a small and sweet visit.Abu Dhabi Mall,Marina Mall,Al Wahda Mall,Khalidiyah Mall are some of the places where you can shop your best. 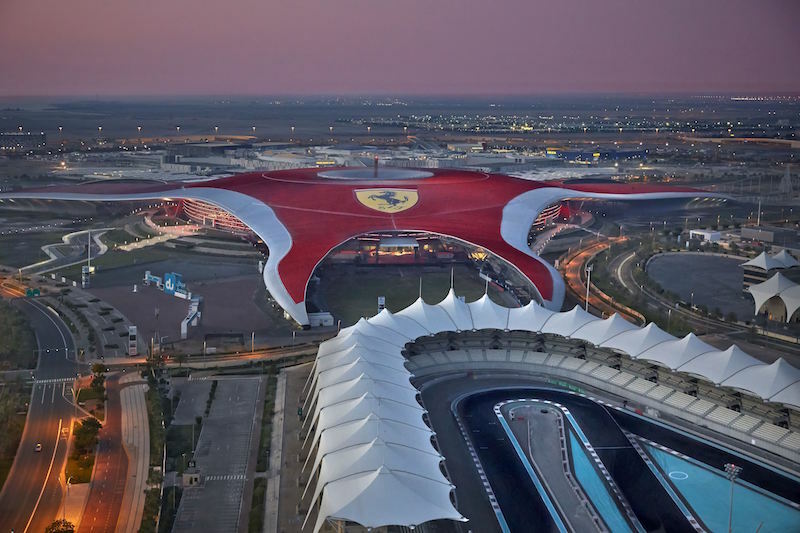 There's more to Abu Dhabi than you could Cover : Drive around Yas Island in a Ferrari. Ever saw F1 race and wondered how the pit crew managed to quickly change the tyre of cars in just a few seconds at the pit stop? A mere view of it gives us an adrenaline rush. 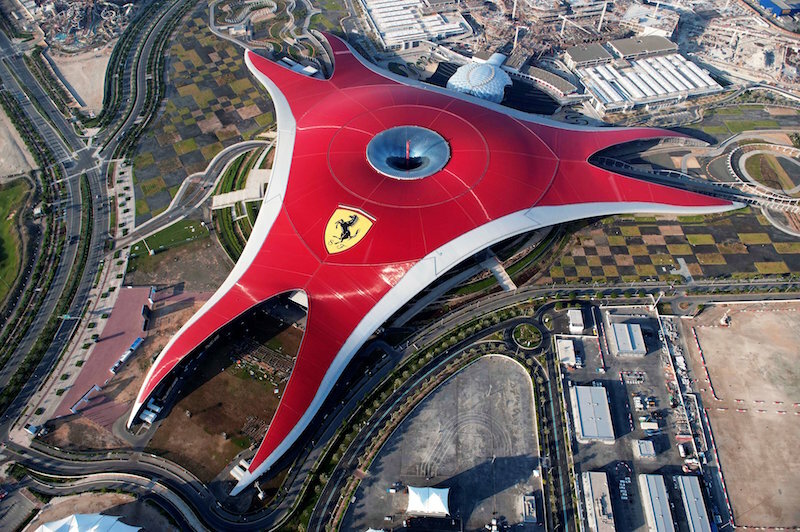 Ferrari World, Abu Dhabi, a one of a kind Ferrari branded indoor theme park gives you a fun filled opportunity to feel that rush yourself. 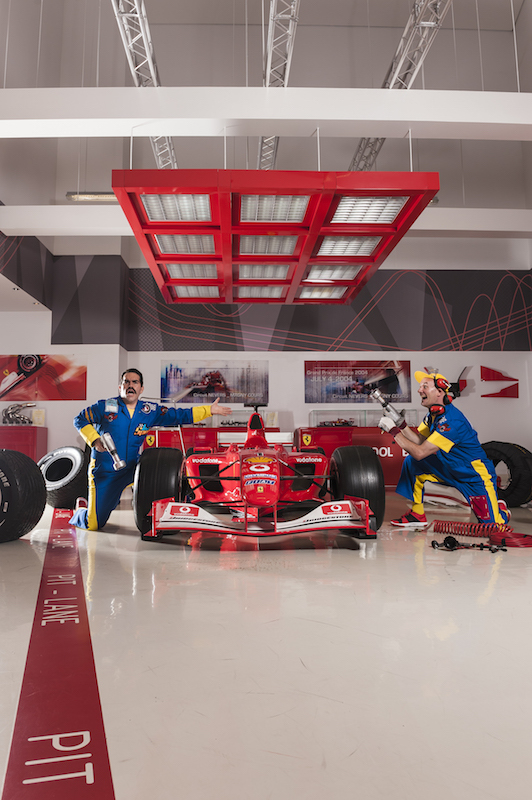 The Tyre Change Show at Ferrari World, Abu Dhabi features two comical Italian mechanics on a mission to fulfil their dream of becoming pit crew for Scuderia Ferrari. Watch them clown around and attempt to change a tyre of a F1™ car, and then try and do it yourself in the quickest time. Not only that, the theme park also gives you an opportunity to live your dream of driving a Ferrari! 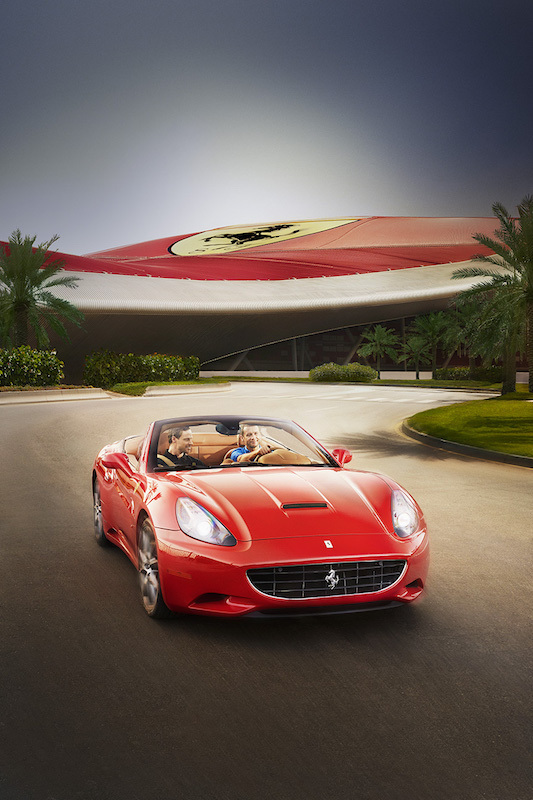 Yes right, you can drive around Yas Island behind the wheel of a Ferrari California. You’ll receive a lesson into how to drive the car from one of their trained pilots, and a Ferrari expert will be on hand to give you some insider tips. With space in the back seat for up to two passengers, it’s the perfect adventure to share with family or friends. Just when I said in my last blog-post I might visit it once more , was for a reason. 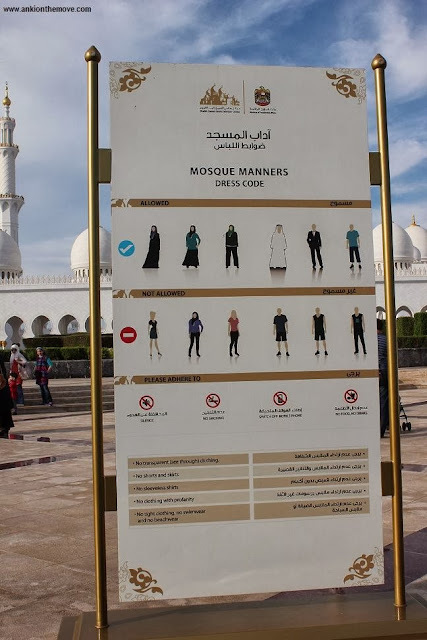 Although I did see the Mosque and wondered why isn't it in 7 wonders of the world, I missed on two great places I would have easily covered had I stayed for two more days. And slowly walking down the Corniche remains a dream even now. 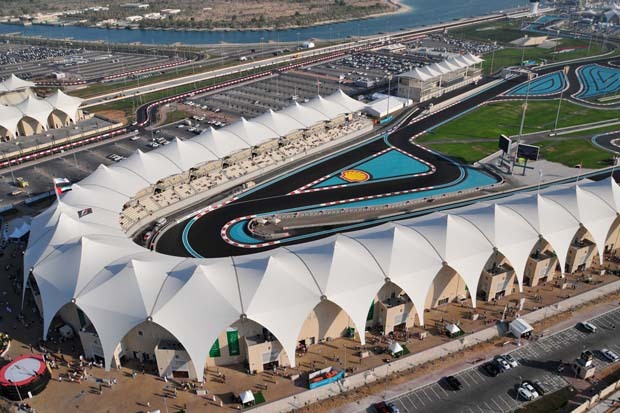 ....And the YAS Marina Circuit. 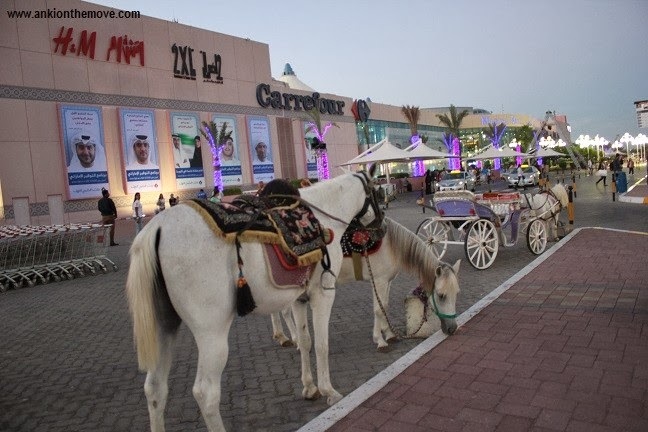 @ankionthemove Tourist club area, Marina mall, Sheikh Zayed Mosque, Hamdaan Street. Since, I was in Abu Dhabi for just a day ,I could only admire the famous Sheikh Zayed Mosque, had Dinner, tried Shisha for the first time and woke up to another beautiful morning and a road trip to Dubai. Cuisine wise,you get all sort of food from Continental to Indian to Middle Eastern.Here's a list of 50 best places to eat in Abu Dhabi. 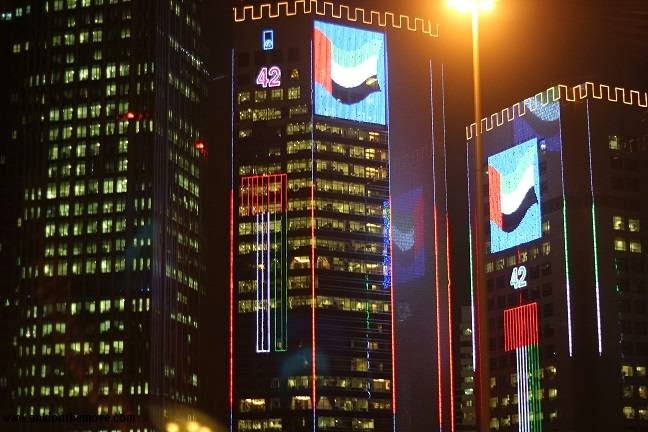 I couldn't explore many food joints,as I didn't have all the time,if you have been to Abu Dhabi and know of popular local joints,feel free to comment below. Travelogue at its best !! 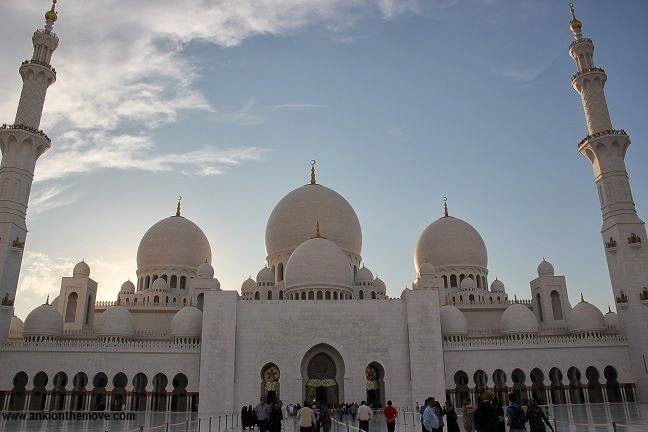 @Veena:Thanks Veena.Have you been to Abu Dhabi before? 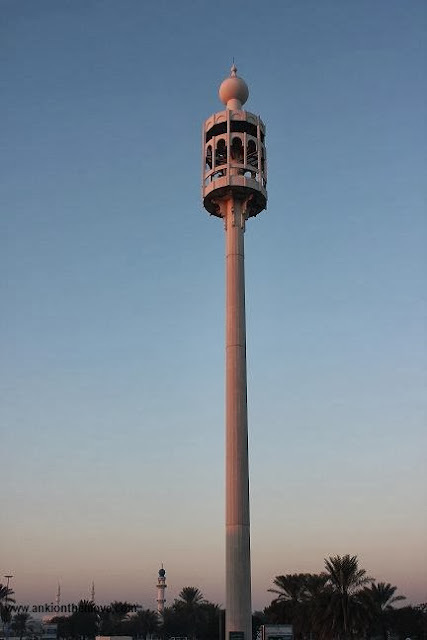 This is really amazing post. 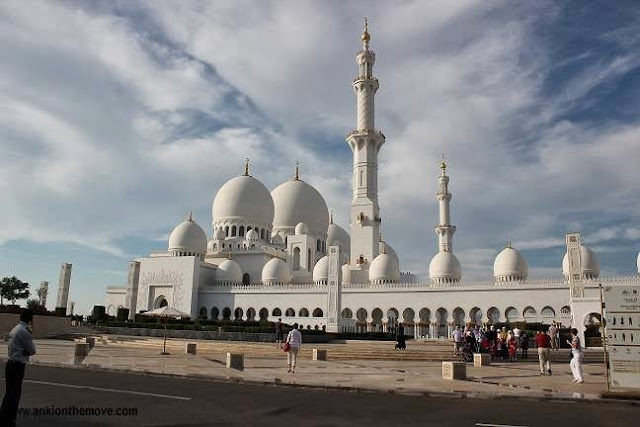 Nice blog...you can apply Dubai visa from musafir.com with very less price and within 1 or 2 working days. Your work is very attrective I like your support to making passport of dubai. This blog Provides things are helps me. your blog is very good for me please keep it up.I like it. 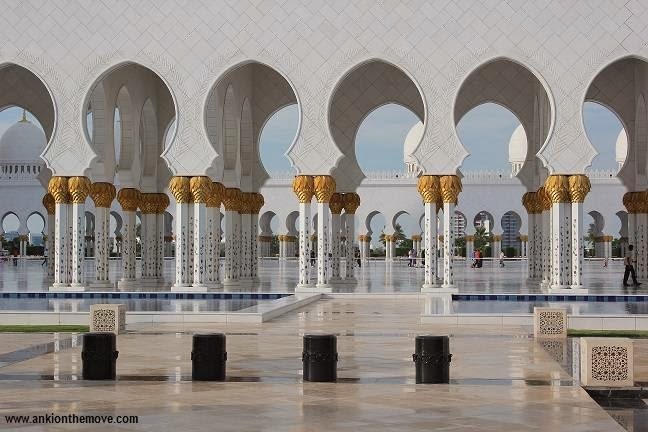 Nice post on Abu Dhabi, it is largest cluster of cultural buildings. 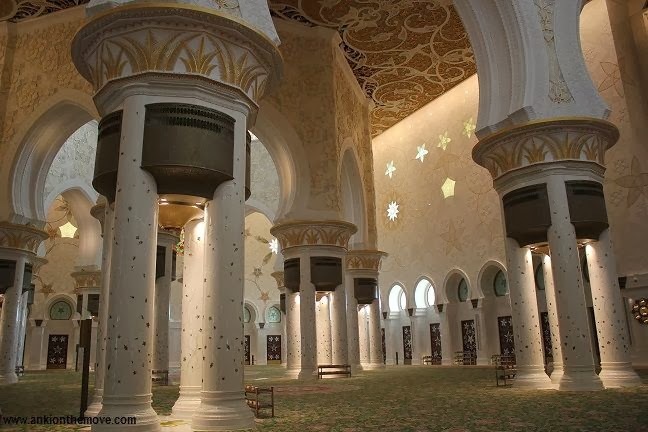 It offers chance to understand the UAE’s history through museums. I truly loved your photographed. 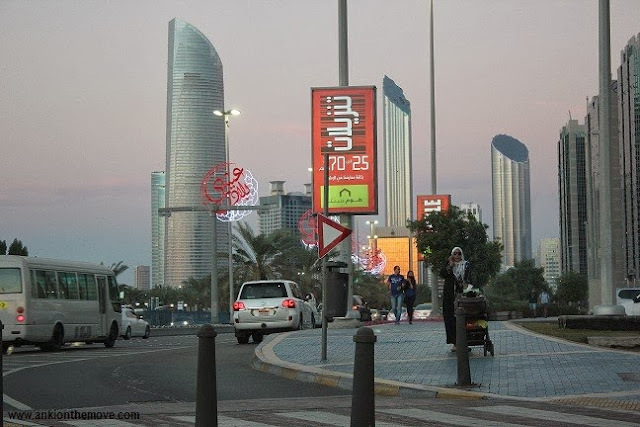 Nice Post about Abu Dhabi... very informative as well. A perfect guide way tour for people visiting the rich heritage, cultural city of UAE “ABU-DHABI". Discover the world-class architectural designs and unveil the most unbelievable landscapes. 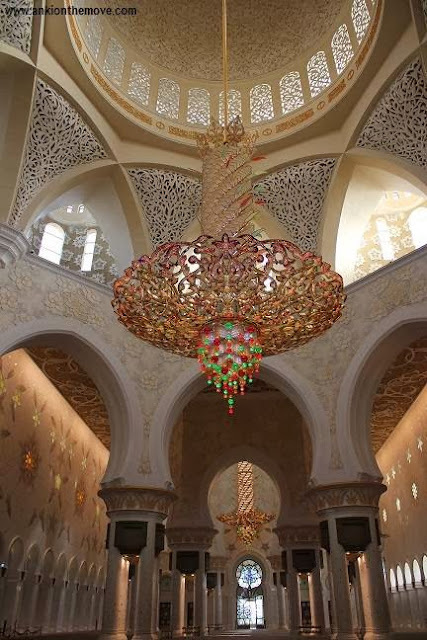 One can even think of hiring travel expert in Dubai who can make your trip more comfortable and easy! !